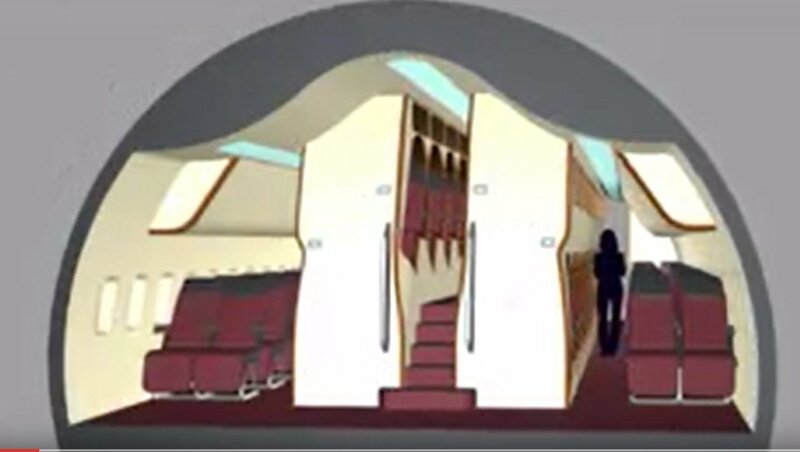 I've came across on youtube a new design for stacking passengers in an airplane cabin, that looks at first sight interesting. What would be the advantages and drawbacks of such a design? Why this is not common in today's airplanes? Note: I cross-posted this question on aviation stack exchange too, as I wanted to get both technical / social feedback. I speak only as a frequent flyer who once worked for an airline, not an aircraft designer. The main point of contention with such a design will the be the trade-off between the extra passenger capacity and apparently significantly weight of those structures. As as Business Class passenger, I would find those compartments quite confining. The current prevailing herring-bone layout is cramped enough. Not the answer you're looking for? Browse other questions tagged air-travel aircraft seating or ask your own question. What do the cabin bells mean on airplanes? Why are airplane passengers asked to move their seats to the upright position during take-off and landing? Why are some airplane seats numbered “DEK”? Are there any advantages to selecting the middle seat in an airplane? Airplane seat dimension regulations: are there any? What electronic items can I bring into the airplane cabin? Airplane Seat Recline Measurement… in units of length inches? BA 185, what airplane configuration is this?